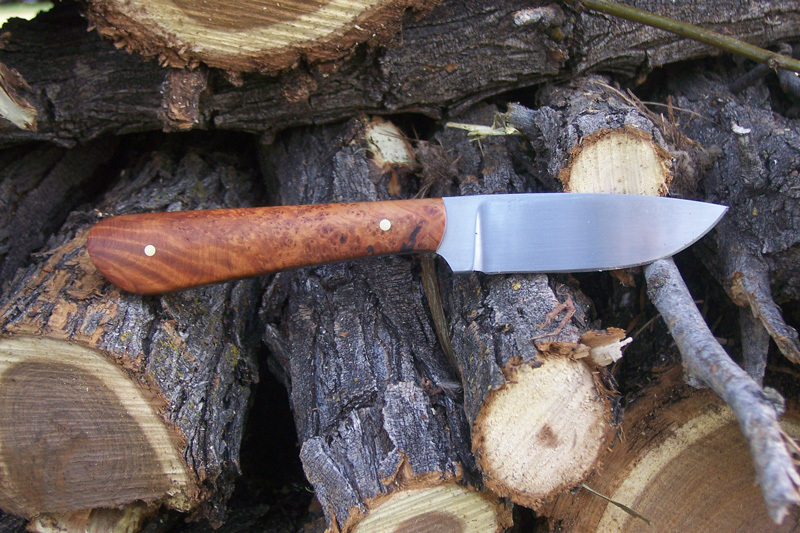 One of my early designs was a knife I called the “Triple D” for Deer Disassembly Device. As an early design, there are some things I don’t like about it now, to the point where I don’t make them exactly the same as I did back then. 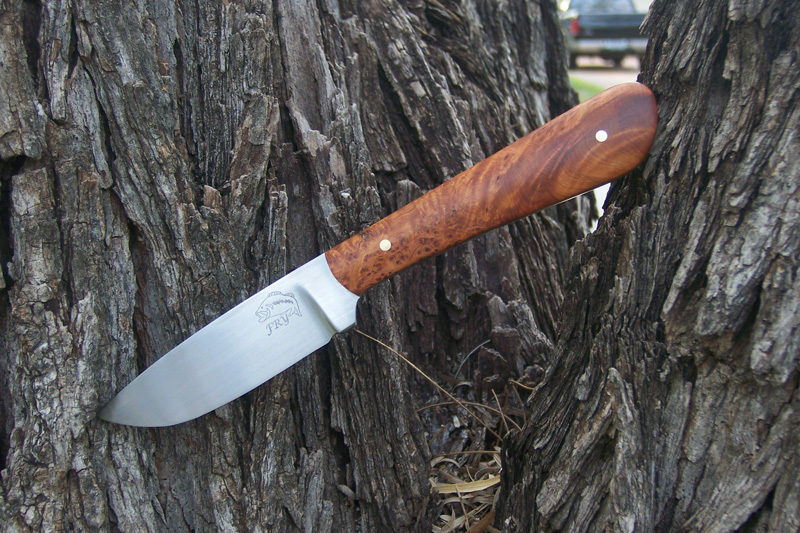 I kept the key features of the early Triple D when I made this knife: the drop point and 7 1/2 inch blade. 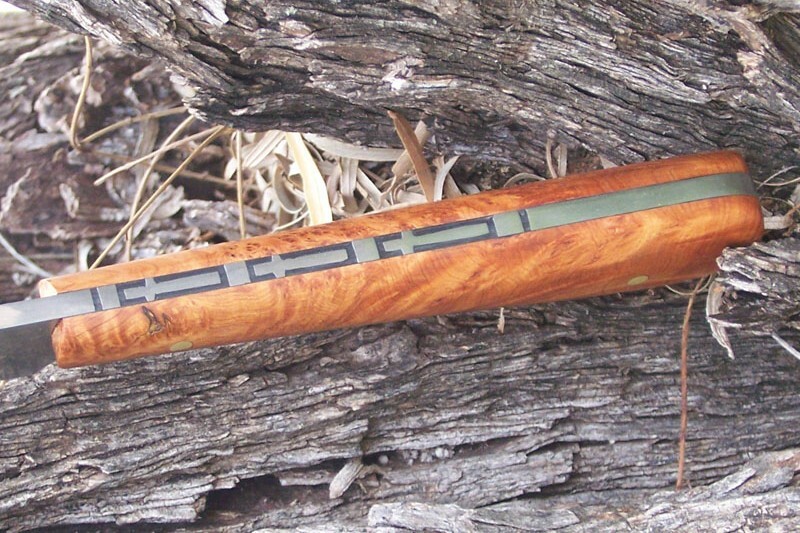 This knife is 1080 carbon steel with Ruidoso juniper burl and cross filework.